She’s rare, and yet she’s the real thing. Thanks to Emma for suggesting Dilys as Name of the Day. Dilys has never ranked in the US Top 1000. Name a daughter Dilys in 2009, and odds are you’ll be repeating, spelling and explaining her name forevermore. That’s not such a bad thing, though. Dilys has much to recommend her. First off, she has a lovely meaning – genuine. 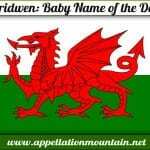 Dilys Cadwaladr wore the name in the early 20th century. A celebrated Welsh poet, she was the first woman to snag the Crown of the Bard at the National Eisteddfod – a festival focused on literature and the arts. It gives the name the ring of a true heritage choice. I don’t know how Dilys Powell felt about Dilys Laye’s work, but she was an English journalist and film critic at about the same time. On the subject of pronunciation, there’s a divide. Some rhyme it with Phyllis; others put it closer to Denise – de LEES. Dilys has an appealing literary side. 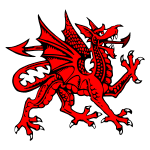 Since 1992, the Independent Mystery Booksellers Association has given out their annual Dilys Awards. It’s a charming honor – rather than rewarding sales or other measures, a Dilys Award means that bookshop owners have just plain enjoyed having your book in stock. The name comes from Dilys Winn, the first speciality mystery bookshop owner in the US. In Hester Brown’s Little Lady series, heroine Melissa is sometimes assisted by her glamorous, former lounge singer grandmother, Dilys. Despite her occasional use, Dilys does seem a bit unthinkable. 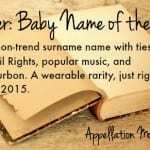 It conjures up dilly-dallying, frozen treats at Dairy Queen and at least one unfortunate nickname. Except that the two-syllable, ends-in-s construction has been in hibernation for decades. With Alice and Frances attracting more attention, it seems possible that parents might go searching for similar names. The 1920s were kind to Phyllis, Doris, Lois, Gladys and Agnes. Eunice peaked a few years earlier; Florence, a bit later. Some seem like they might make a comeback, but even powerhouse Phyllis (she peaked at #24 in 1929 and ranked in the Top 50 from 1923 to 1949) feels a bit tired today. Circa 2009, there are scarcely any ends-in-s choices. Alexis is the stand out, with Genesis (#189) and Paris (#289) among the few other options in the rankings. The bottom line? For parents searching for a truly unusual sound, ends-in-s is a good bet and Dilys is an interesting option. And as Emma pointed out, you’d have the chance to croon the Lavender’s Blue lullaby: I shall be Queen, dilly dilly. And Paige, I think Carys is more likely to catch on – and yet, all those Car- names (Cara, Carrie, Caroline) make Carys a bit less distinctive. I’m not sure about the spelling, Sarah. I found Dylis listed as an alternate a few places, but couldn’t find enough real-life Dylises to make me think it was worth a mention. Plus, to my eye Dylis rhymes with Elise. Maybe. And then again, if that’s the pronunciation you favor, it would make sense. I do know what you man, glad you took it the way it was intended. 🙂 I have seen Dilys before, as an awqard, for Booksellers. My very first job was in a bookstore, and yeah, the Dilys awards are a big deal for them! This morning, I tossed Dilys out to little Byron’s mom, she was intrigued. 🙂 She doesn’t know what she’s having in three months but I’m already dying to see what she names it! Lola, you are too funny! Perhaps the reason that word comes to mind is simply that I had never seen nor heard this name before, as opposed to Dylan which is always Dylan, KWIM? I must admit, it is a great name to throw out for the ones looking for unique – I definitely like the cast of characters with the name. While I’ve been typing this, I’ve been saying Dilys aloud and I must say, I really do like it! Simple, feminine sounding, unusual and a great history to back it up, Dilys is a fantastic little oddball. I really like her and am putting her on my list to suggest to folks looking for something “unusual and legit”. yeah, Dilys is neat! I really like Dilys; it has the same appeal that other Welsh names like Carys do for me. No can do Dilys!!! An, ahem, “marital aid” comes glaringly to mind. […] But Welsh is phonetic, and the rules are clear.